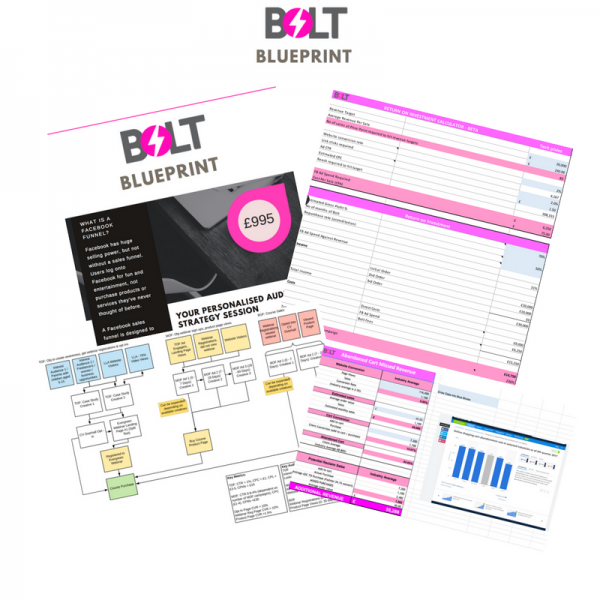 Chatbots are the new big thing in the tech world and here at Bolt Digital, we use chatbots integrated with Facebook’s Messenger to do the following: sell holiday homes, book holidays, assess the quality of inbound leads for clients and to support ecommerce campaigns. Right now, chatbots are in their infancy, but they are part of the future of an integrated digital marketing strategy. A recent study by Oracle found that 80% of businesses plan to use chatbots by 2020. Why? Because your audience will be much more engaged with a bot compared to ‘traditional’ mediums like emails (for the next few years at least). 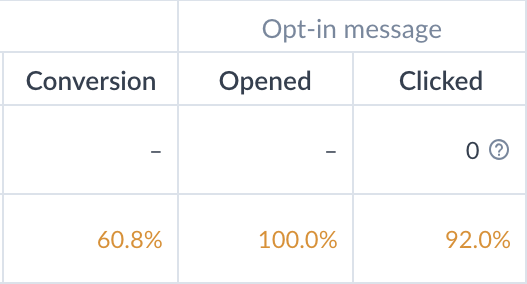 Look at these stats: one of our bots for our holiday retreats has a 100% open rate, 92% click rate, and 60.8% opt in rate. Compared to newsletters, which are usually hit around 25% opt-in and open rates…. A chatbot is an automated program that can communicate with customers. Mostly found on messenger channels like Facebook Messenger, WhatsApp, or Slack, chatbots allow communication between your business and customers automatically, without you having to lift a finger. The key is too it simulates the type of back and forth conversion you’d have with a real human via Messenger. With bots, you can set up a funnel directly inside of the channel, and then target specific consumers directly. Most times they use predetermined questions or options as the conversation. If you’re trying to generate leads for your business, the chatbot warms up these leads and forces them to detail what they want help with before a human can talk to them. For ecommerce brands, the chatbot will walk the potential customer through a number of questions before pointing to a suitable product. It does a similar job to that done by a sales or demonstrating expert at a beauty counter. Bots allow you to better serve your customers in a quicker, faster way, all while building loyalty and connections. Why should you be using chatbots? Big brands like TFL, Lidl, and Louis Vuitton use bots to interact with their customers, answer questions, or build brand loyalty. Facebook reports that 53% of people are more likely to shop with a business they can message directly, and 56% of people would rather message a company than call customer service. Depending on how they’re set up, bots can have many roles. They can serve as mini-sales funnels, manage customer service and enquires, send out information blasts much like newsletters, or even be used to book or schedule services, like holidays, meetings, or routine tasks. Plus, you need to be where the people are and where you can be heard. Email inboxes are overwhelmed. Instead, you have to target where they socialize directly, which means making the move from strictly emails (though we still love the power of newsletters!) to social media channels, where users are already puggled in. And you can only really do that with bots. We use ManyChat to build our bots at Bolt Digital because it specifically integrates with Facebook Messenger. According to Facebook, more than two billion messages are sent between people and businesses every month on Messenger, so that’s where we want to be. ManyChat also has Facebook ad integration which makes it easy to run ads straight into the Messenger bot. First, the bot introduces itself. All of our bots have a friendly, chatty tone. We also let people know that they are speaking to a bot and that a ‘human’ will be along shortly. 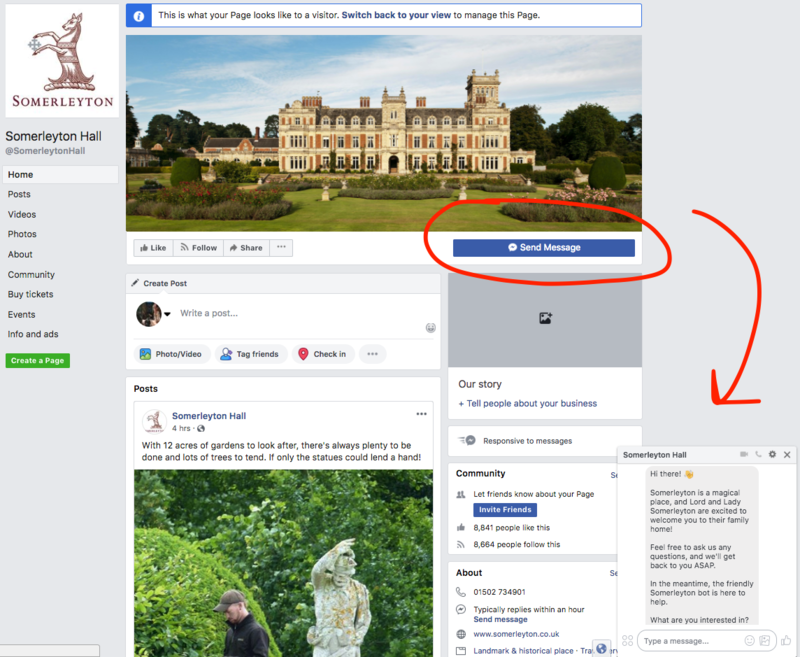 Next, it gives four different prompts for the customer to take and in the case of this partner of ours it is: Visit the hall, See the gardens, Host a private event, or Book a wedding. We also always include an option to speak directly with someone (on this flow we put it as ‘something else’). This skips the rest of the ‘flow’ so that they can directly ask a question and interact. Once a customer finishes the flow, they’re still able to ask questions or answer anyone that responds. The same goes for you; at any point, you can log on to Facebook Messenger and respond to the messages. 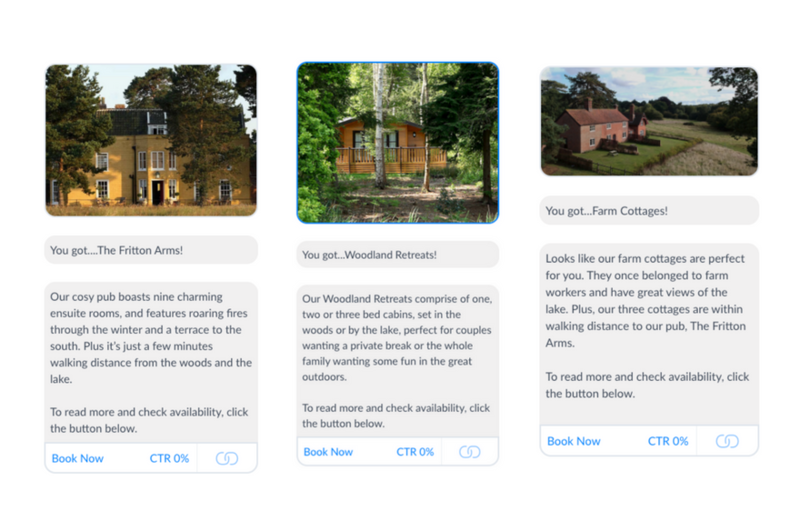 Another great usage of chatbots that we use at Bolt is to create engaging content, like quizzes. 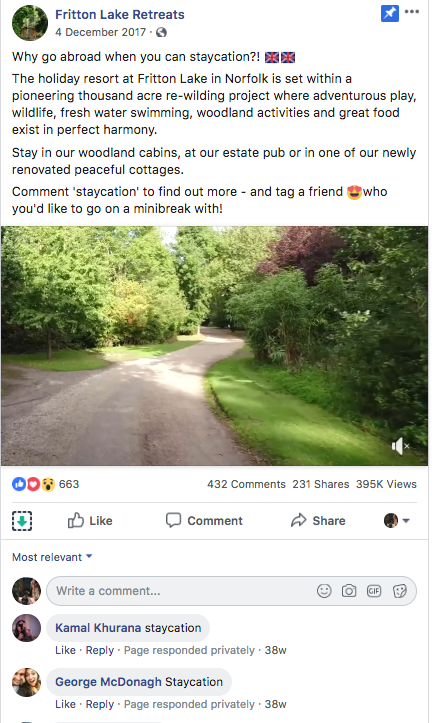 For our partner that sells holiday lodges and retreats, implement a chatbot has been crucial to generating leads. The bot is actually a quiz detailing all the different ways to stay at Fritton. This is a fun, interactive way to get to know your potential leads. We decided to use a quiz-format because they’re engaging, and judging by the hits popular sites like Buzzfeed get on their quizzes, they’re irresistible to consumers. 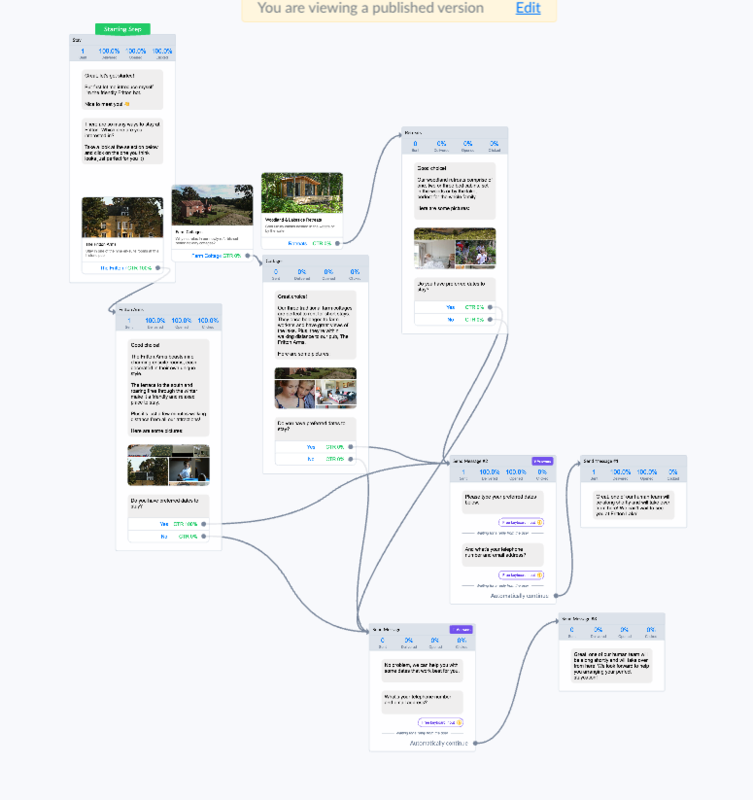 Our flow comprises of 4 different questions, each with three different answers that correspond with the different options to stay at the resort. The last question links to the result they got, where we then direct to lead to the website to book. In the past, we actually had the option to book directly via Messenger, but our client was getting too many leads, enquiries, and bookings to keep on top of. That’s why we redirect to the website for booking. Last but not least, there’s the option to broadcast to subscribers. Like emails, once a person interacts with your chatbot, they get subscribed to a list. They can unsubscribe at any time. You can send out ‘broadcasts’ to this list at any point in time. This is the perfect place to launch new deals, send alerts about sales, blast reminders about upcoming events, or offer any new information directly to their Messenger inbox. Nothing in digital marketing works alone and bots are at their most powerful when combined with emails, Facebook ads, and great social media and the rest of your integrated online marketing strategy. 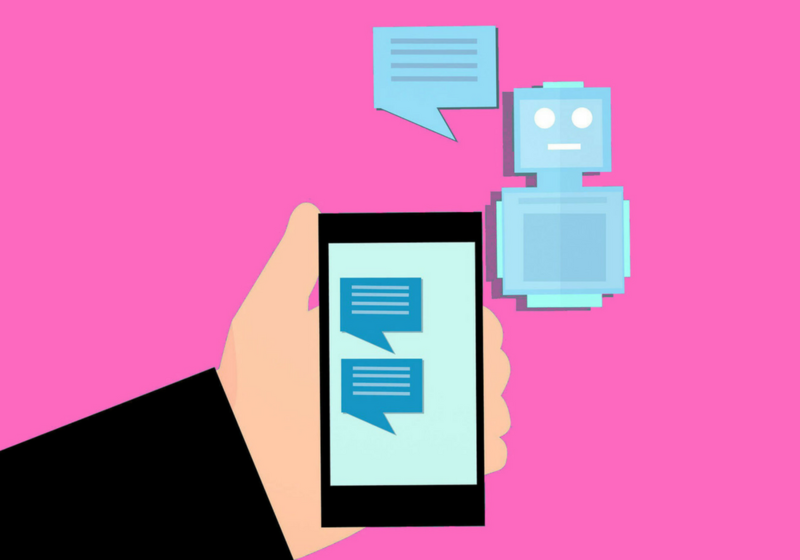 The best part is that chatbots are still new to digital marketing, and while they’re growing fast, there is much more exciting technology and uses for them to come in the future. But there’s one thing for certain: in order to be at the forefront of marketing, you need to get a chatbot for your business. The results speak for themselves.